Too often as sales professionals, we have the same old mindset that doesn’t give us the result we want. How about changing that? How about rethinking the way you sell? 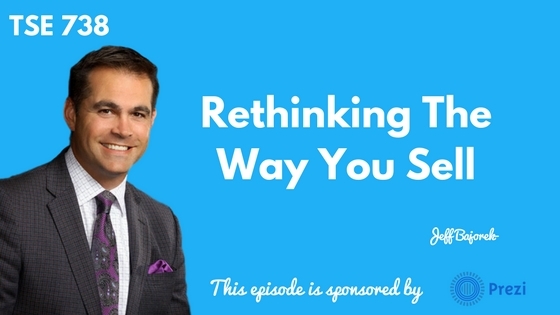 Today’s guest, Jeff Bajorek, challenges sellers to rethink the way they sell. 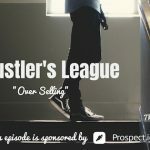 He is a consultant, speaker, sales advisor, and a podcaster. He has been selling for several years and has learned that by rethinking the way you sell you will become successful. Is Social Selling the New Cold Calling? Focus on what allows you to bring value to your audience and personalize that. Think about those things that got you to the table in the first place rather than focusing on the likes you get. Have empathy for who’s receiving that message otherwise it’s nearly impossible to convert anybody. Most salespeople just see names as numbers and how many people they can reach. They want to make their quota but don’t realize that at the end of the day those prospects are humans. Being honest is the way to go. Instead of focusing on hitting your numbers, think about calling, say, 50 people, and connect with 20 with them and make four sales. Just put yourself in those 50 shoes and try to tailor your pitch or proposition in a way that it’s going to resonate with them so they will respond to it. The reason you only get a 10% response rate is because it’s a garbage proposition in the first place. 1.Put yourself in the place of the rep. Think about how you felt when you were in that role and you didn’t know about anything. Take extra time after each call and if you were in the position of the prospect, would that proposition have resonated with you? Take notes of what worked and what didn’t and review those stuff. What do you need to change? What needs to stay the same? Be aware of yourself and don’t think about the next five dials while you’re on a call. Be there for the person you’ve got on the phone at that time. Really engage with them. When you’re a manager, your salespeople are your customers. But managers stop thinking about that all the time. As a result, the sales professionals lose sight of what they’re trying to do as well. 5.Instead of worrying about scaling at an alarming rate, just make it work. Figure out what works. Make it work repeatedly. And then build it own as tolerably as you can. Don’t lose sight of what you’re doing. If you do it right, your best customers do the prospecting for you. You’re in this business to connect with people. You’re there to help. Everything is coming at you a million miles a minute. There’s more room than you can possibly imagine. So stop, take a deep breath, and think twice about why you’re doing what you’re doing. Effectiveness increases your efficiency. 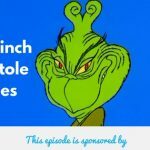 Check out Jeff’s podcast The Why and the Buy. They’re soon starting a book club where they pick a book every month and they’re going to do a live podcast recording where everyone can join the conversation.